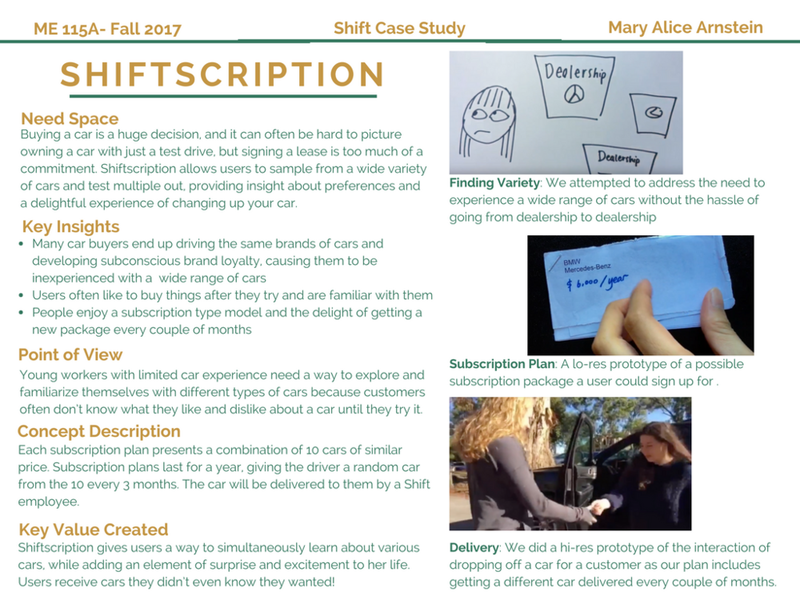 In an effort to demonstrate the design process of empathizing, defining, ideating, prototyping, and testing, the following are design case studies developed with human-centered design as a guiding factor. These projects allowed me to gain hands on experience with user testing and feedback, rapid prototyping, and presentation skills. 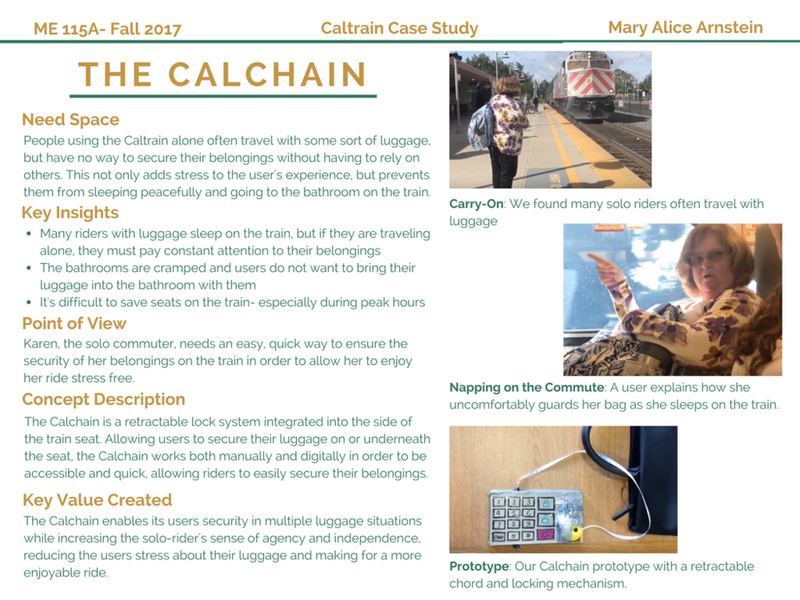 Designing for the Caltrain transportation experience. Designing for the used car buying experience.